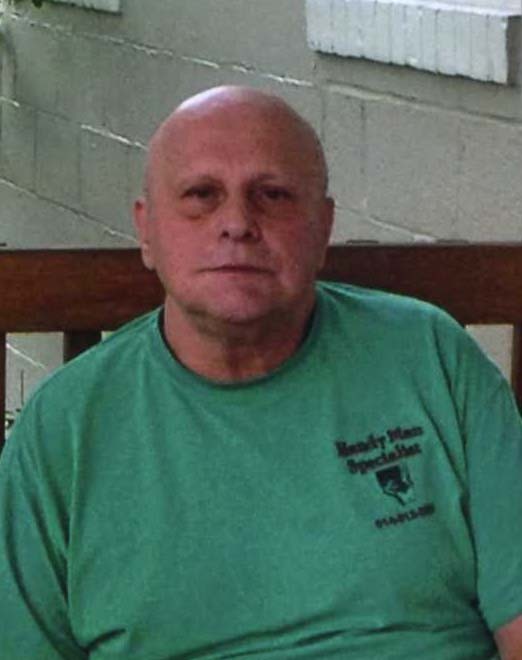 Obituary for Nicholas P. Antonuccio Jr. | Carlson-Shugarts Funeral Home, Inc.
Nicholas Patrick Antonuccio Jr. age 70 of Main Street Brockway, PA; died on Monday March 25, 2019 at Penn Highlands DuBois. Born on November 4, 1948 in Ridgway, PA; he was the son of the late Nicholas P. and Edna Dilley Antonuccio Sr. He was married to Linda Carobine Antonuccio and she preceded him in death on December 20, 2000. Retired, Nick had been employed by Arc Metals in Ridgway in Steel Construction. He was a member of Holy Cross Church in Brandy Camp. Nick also was a member of the Orient Club, V.F.W. Club and the S.O.I. Club. He loved NASCAR Racing, playing cards especially poker and was an avid Cleveland Browns fan. He also enjoyed playing fantasy football. Nick is survived by 2 daughters: Lori Antonuccio and Angelina Antonuccio both of Brockway; 4 sons: Nick (Dana) Antonuccio III of Bellefonte, PA; Joe Antonuccio of Leesburg, FL; Dom Antonuccio and Sam (Kelly) Antonuccio both of Brockway; 1 sister Roseann of DuBois; 3 brothers: Anthony Antonuccio of Ridgway, John Antonuccio of Elbon, PA and Dave Antonuccio also of DuBois. He is also survived by 8 grandchildren: Joey, Brittany, Mara, Hunter, Dylan, Nicky, Amanda and Nathaniel as well a 5 great grandchildren. In addition to his parents and his wife he is also preceded in death by a sister Madge Antonuccio a brother Rick, several infant brothers and 2 grandsons Andrew and Bradon. Following Nick’s wishes all services will be private at the convenience of his family. Burial will be in St. Joseph’s Cemetery in Force. Memorial donations may be made to any of the Brockway area church’s that participate in the Meals on Wheels program.